It’s a testament to the brand of Cannes that, even in this age where film festivals are a dime a dozen, its lineup announcement still very much feels like an event. True, for reasons both external and self-imposed, Cannes has allowed Venice to steal quite a bit of its thunder these last few years. But, now as ever, there’s something undeniably prestigious about that palm-shaped emblem that speaks to the highest quality of filmmaking. In about a week’s time (Apr. 18, 11am EST), longstanding artistic director Thierry Frémaux will unveil the official selection of the 72nd edition of the world’s most esteemed film festival. The internet has been churning out speculation pieces for months. Now it’s time for us to survey some of the likeliest candidates. So far the festival has only announced one single title: that of its the opening film. This year that coveted slot is booked by everybody’s favorite punk-rock poet Jim Jarmusch and his zombie comedy THE DEAD DON’T DIE. A somewhat atypical choice in terms of genre yes, but considering its absolute jaw-dropper of a cast including Bill Murray, Adam Driver, Tilda Swinton, Tom Waits and many others, not all that surprising. This would also mark Jarmusch’s 8th time competing for the Palme d’Or. The rest of the roster is guesswork but word on the street is that Cannes 70 jury president, Spanish national treasure Pedro Almodóvar will be back in competition with PAIN & GLORY co-starring Antonio Banderas and Penélope Cruz. The movie has been in theaters in Spain since late March, but Cannes has been known to host international (not world) premieres when it comes to the work of such A-list auteurs (Almodóvar’s last competition entry JULIETTA had also premiered in Spain beforehand). The film has received raves following its local release and is already viewed as a top contender for the still Palme-less Almodóvar. Fellow star-auteur AND Palme d’Or winner Terrence Malick is also said to have secured a competition slot with his long-gestating, recently re-named project A HIDDEN LIFE (formerly RADEGUND, which I thought would make the lineup last year). Malick himself described this film about an Austrian conscientious objector during WWII as a return to narrative-driven filmmaking which may (or may not) boost its appeal. It stars a largely European cast led by German thespian August Diehl and would mark Malick’s first trip back to Cannes after winning the top prize with THE TREE OF LIFE in 2011. Another as yet unconfirmed competition title is the relationship drama EMA by Chilean director Pablo Larraín starring Gael García Bernal. Larraín impressively completed the European film-fest trifecta of Berlin-Cannes-Venice with his last three films (THE CLUB, NERUDA, JACKY) but this would be the first time Cannes invites him to play in the big boy’s club after both NO (Oscar-nominated) and NERUDA screened at the Directors’ Fortnight sidebar. Beyond that, we also feel pretty confident in predicting a pair of two-time Palme d’Or winners returning to the Croisette this year. After I, DANIEL BLAKE, British maestro Ken Loach has completed another social-minded drama SORRY WE MISSED YOU about the everyday struggles of the British working class. And Belgian writer-director duo the Dardenne brothers could well be back with THE YOUNG AHMED, centered around a radicalized teenager planning to kill his teacher at school. Both deal with topical, urgent issues in contemporary Europe and it would be interesting, hopefully also thought-provoking, to see these great artists reflect on our troubled times. Further down the list of likely Palme d’Or contenders we have Canadian wunderkind Xavier Dolan (who just turned 30 last month, still a kind?) with MATTHIAS & MAXIME, a queer-themed, apparently intimate, return-to-roots drama which he also stars in. Then there’s Korean director Joon-ho Bong, who looks poised to compete again (after OKJA two years ago) with the family drama/thriller PARASITE. The sci-fi flavored western NIGHTHAWK by Brazilian director Kleber Mendonça Filho (last in competition with AQUARIUS) could very well also show up as another showcase for the great Sônia Braga – and Udo Kier. As always there’s a strong French contingent lying in wait, including OH MERCY by Arnaud Desplechin (ISMAEL’S GHOSTS, Cannes 70 opener), a crime drama headlined by Léa Seydoux. Meanwhile, Céline Sciamma (TOMBOY, GIRLHOOD) and actress-turned-director Mati Diop may help tip the oft-maligned gender imbalance of the competition lineup this year. The former has lesbian drama PORTRAIT OF A LADY ON FIRE starring one of the it-girls of French cinema right now Adèle Haenel and Italian screen Goddess Valeria Golino. The latter could achieve the rare feat of breaking into competition with her much-buzzed-about debut THE FIRE NEXT TIME, a Senegal-set mystery-drama. From China we expect at least one film to make it. 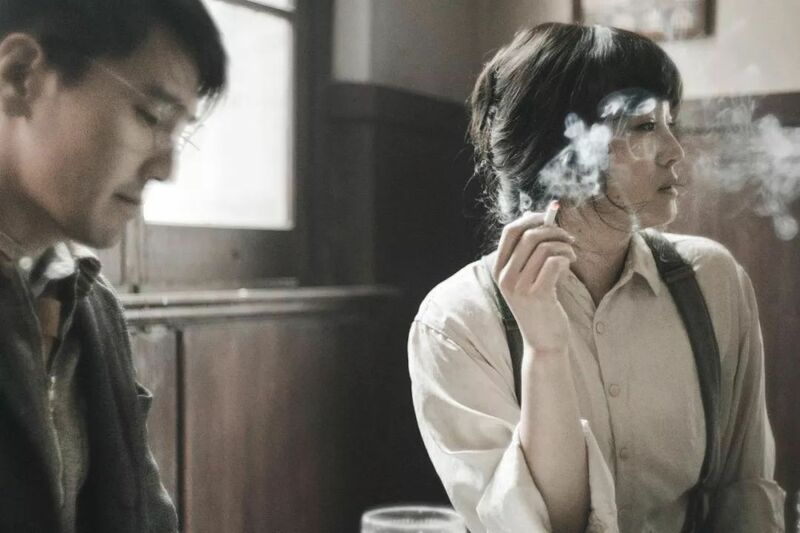 Will it be Cannes-semi-regular Lou Ye, whose latest drama SATURDAY FICTION features superstar Gong Li as an actress/spy who became aware of the imminent attack on Pearl Harbor in Japan-occupied Shanghai? Or will the censorship troubles surrounding Zhang Yimou’s Cultural Revolution-set ONE SECOND be resolved in time for it to premiere on the Croisette after being unceremoniously pulled from the Berlinale earlier this year? Their countryman Diao Yi’nan’s follow-up to the Golden Bear winner BLACK COAL, THIN ICE, a dramatic thriller entitled THE WILD GOOSE LAKE and Golden Camera-winning Singaporean filmmaker Anthony Chen’s new drama WET SEASON are also likely to show up, although we’re sensing the sidebar Un Certain Regard might be where those are headed. Other possibilities include Italian veteran director Marco Bellocchio’s biopic THE TRAITOR about a mafia boss-turned-informant whose testimony brought down hundreds of gang members in the 1980s; prolific French director Guillaume Nicloux’s latest Gérard Depardieu vehicle C’EST EXTRA; his fellow French filmmaker Justine Triet’s comedic drama SIBYL with an all-star cast led by Virginie Efira, Paul Verhoeven’s latest muse and lead of his next romp BENEDETTA; Japanese genre master Kiyoshi Kurosawa’s Uzbekistan-set road movie TO THE ENDS OF THE EARTH; and Swedish maestro, Golden Lion winner Roy Andersson’s latest curio ABOUT ENDLESSNESS. Beyond the more high-brow competition, look out for potential crowd-pleasers in the out-of-competition and/or midnight sidebars. More or less confirmed for a debut here is the Elton John musical biopic ROCKETMAN. Helmed by Dexter Fletcher, who stepped in for Bryan Singer to finish 4-time Oscar winner BOHEMIAN RHAPSODY, it will be interesting to see (and hear) whether this one can repeat the incredible success (US$900m worldwide) of its presumed spiritual predecessor. Another music-themed film that could make an appearance here is Oscar winner Danny Boyle’s YESTERDAY about a struggling musician who wakes up to be the only one on Earth who remembers the Beatles songs. Lily James and Ed Sheeran co-star. There are conflicting reports on whether A24 would submit Ari Aster’s MIDSOMMAR, his follow-up to Sundance sensation HEREDITARY, for Cannes consideration. If this happens (which we certainly hope it does), a midnight screening would seem more than appropriate. Equally fitting for a late-night bow would be Robert Eggers’ (THE WITCH) black-and-white gothic horror THE LIGHTHOUSE starring Robert Pattinson and Willem Dafoe, and Danish provocateur Nicolas Winding Refn’s Amazon series TOO OLD TO DIE YOUNG with Miles Teller and John Hawkes. Cannes generally is very TV-resistant but did make an exception for TWIN PEAKS two years ago. Disney sent SOLO to Cannes last year, so it’s possible they would host another over-the-top premiere for one of their summer tentpoles there. TOY STORY 4 seems most likely. The biggest question mark at this point has to be Quentin Tarantino’s ONCE UPON A TIME IN HOLLYWOOD. Presumed to be Cannes-bound probably since the day it was announced, the film’s default premiere on May 21 seems all the more credible considering it would have been 25 years – to the day- since PULP FICTION premiered in Cannes (you’d think Tarantino would dig this kind of thing) – and went on to win the Palme d’Or from Clint Eastwood’s jury. But according to multiple reports, the film might simply not be ready in time. Ditto THE TRUTH, last year’s Palme d’Or winner Hirokazu Koreeda’s French-language debut starring two of French cinema’s premiere dames Juliette Binoche and Catherine effing Deneuve. In my mind this film would have made the most sense as the opener (even if OOC) for the pedigree alone. The fact that that’s not happening adds fuel to rumors that the film is still being finalized. Ira Sachs’ ensemble drama FRANKIE headlined by Oscar nominee and Cannes mascot Isabelle Huppert, on the other hand, appears to be finished. But a recent move of its (French) release date to the fall suggests the producers may have other plans for the film. The same could be said of Benedict Andrews’ biopic AGAINST ALL ENEMIES starring last year’s Cannes juror Kristen Stewart as iconic actress Jean Seberg. Word on the street is that Frémaux is dying to get this one, but the producers prefer to launch it closer to awards season. Depending on whether they will be finished in time, Chloe Zhao’s THE RIDER follow-up NOMADLAND with Frances McDormand and David Strathairn, Benh Zeitlin’s long-awaited follow-up to BEASTS OF THE SOUTHERN WILD entitled WENDY, and new films by two American indie queens – Kelly Reichardt and Miranda July – could also figure into this year’s Cannes lineup one way or the other. Meanwhile, the chance of seeing James Gray’s Brad Pitt-starrer AD ASTRA on the Croisette appears very slim as the sci-fi drama is by all accounts still very much in post-production. Also not expected to be part of the Cannes festivities is – once again – all Netflix property. That includes Steven Soderbergh’s THE LAUNDROMAT, David Michôd’s THE KING, the Safdie brothers’ UNCUT GEMS, Noah Baumbach’s untitled comedy and, of course, Martin Scorsese’s THE IRISHMAN. Do you think Tarantino will make it after all? What other titles you expect/hope to premiere at Cannes? Berlin-based freelance festival journalist. Sees too many films for his own good.